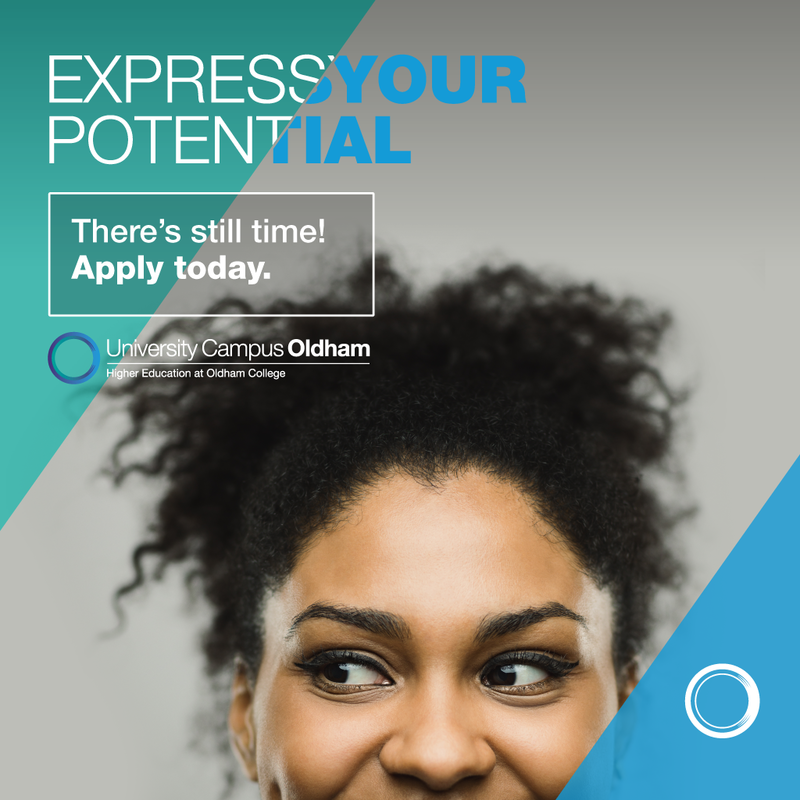 Oldham College is here to serve the needs of its students and local community. We will do all that it reasonably possible to provide our range of Higher Education provision as described in our web site and other materials. Sometimes circumstances beyond our control mean that we cannot provide such an educational service. Examples are shown below. In such circumstances, we will minimise the resulting disruption. Further details can be found in our HE Course Closure, Change or Suspension Policy. ​These terms apply to the entire contents of University Campus Oldham Facebook pages (“the Pages”). Please read these terms carefully before using the Official Pages. Using the Pages indicates that you accept these terms. If you do not accept these terms, do not use the Pages. This notice is issued by Oldham College (“the Institution”). Your attention is particularly drawn to the Indemnity, disclaimer and liability provisions at Clause 5 of these terms. 1.2 The Institution may revise these terms at any time by updating this posting. You should check the Pages from time to time to review the then current legal notice, because it is binding on you. Certain provisions of these terms may be superseded by expressly designated legal notices or terms located on particular pages. 2.1 Any material you transmit or post to the Pages shall be considered non-confidential and non-proprietary. The Institution shall have no obligations with respect to such material. The Institution and its designees shall be free to copy, disclose, distribute, incorporate and otherwise use such material and all data, images, sounds, text, and other things embodied therein for any and all commercial or non-commercial purposes. As with other “chat” or networking sites, personal information should not be shared on the Pages. The Institution shall not be responsible for any loss or damage suffered as a result of you sharing personal information via the Pages. In clicking onto Social Network links, you assume responsibility for any risk and the Institution shall not be liable. 3.1 Unless expressly acknowledged by the Institution as such, all links and comments /contributions posted by individuals on the Pages do NOT and shall not be construed as representing the views of the Institution or its employees and/or associates. The Institution shall not be responsible for the views of individuals (connected or otherwise to the Institution ) that are posted on the Pages. The Institution reserves the right to request any or all contributions /comments posted on the Pages to be removed with or without notice or explanation. 4.1 Links to third party websites on the Pages are provided solely for your convenience. If you use these links you leave the Pages. The Institution has not reviewed all of these third party websites and does not control and is not responsible for these websites or their content or availability. The Institution does not endorse or make any representations about third party websites, or any material found there. If you decide to access any of the third party websites linked to the Pages, you do so entirely at your own risk. 4.2 We are flexible to a degree when it comes to self-promotion and including links to your site. If these links are helpful to our readers, then there is usually no problem. If, however, at the Institution’s discretion they are seen as spam or adding little value they will be removed. (b) you do not use any trademarks displayed on the Pages without express written permission from the Institution . 5.1 YOU SHALL FULLY INDEMNIFY THE INSTITUTION FOR ANY LOSS OR DAMAGE SUGGERED BY THE INSTITUTION OR ANY OF ITS SUBSIDIARY COMPANIES ARISING FROM OR IN ANY WAY CONNECTED TO ANY BREACH OF THESE TERMS BY YOU. 5.2 The material on the Pages is provided “as is” without any conditions, warranties or other terms of any kind. Accordingly, to the maximum extent permitted by law, the Institution provides the Pages on the basis that the Institution excludes all representations, warranties, conditions and other terms (including, without limitation the conditions implied by fitness for purpose and the use of reasonable care and skill) which, but for this legal notice, may have effect in relation to the Pages.